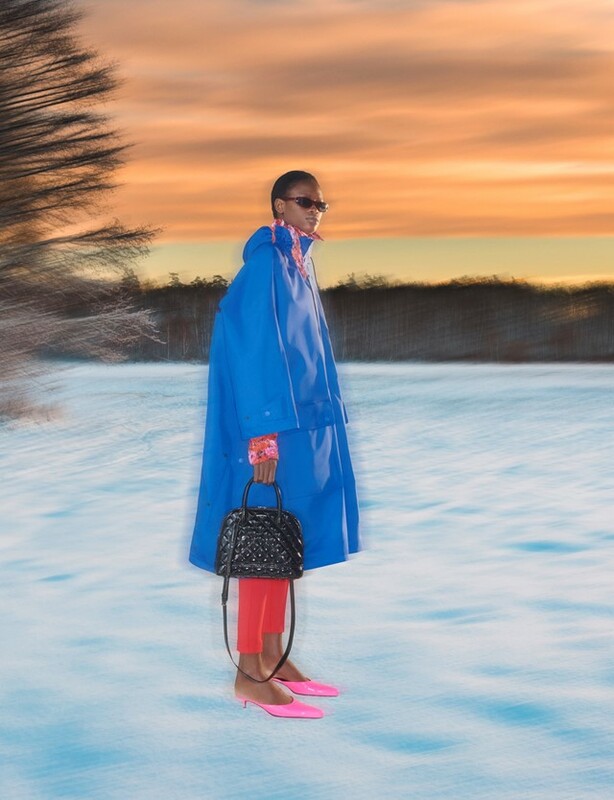 What’s felt like the longest month ever is finally over, and as we prepare for (hopefully) milder temperatures, the Oscars and Valentine’s Day, we’ve compiled a list of things we want to buy this month – from a new Balenciaga capsule collection, to Simone Rocha’s S/S19 offering and a new, nature-inspired fragrance line from Gucci. 1. Reimagined by Riccardo Tisci as part of Burberry’s Resort 2019 collection – which was dubbed B Classic in homage of the brand’s British heritage – now is the time to invest in one of the house’s storied staples, such as this check gabardine trench coat. 2. Trust Kiko Kostadinov to design the ultimate technical sneaker: as part of his ongoing collaboration with Asics, the London-based designer has rebooted the classic GEL Delva-1 in three new colourways – this black and blue pair is our favourite. 3. A new month means a new Balenciaga collection. After launching its first Kering eyewear offering earlier this year, the French house has teamed up with Farfetch to release an exclusive men’s, women’s and kids’ ready-to-wear line, which sees signature Balenciaga pieces – like this distressed logo-emblazoned cardigan – revisited in new colours and fabrics. 4. Inspired by the traditional French fishermen’s sac filet and presented as part of Jil Sander’s minimalistic Resort 2019 collection, this trend-setting nylon embellished net bag expands to twice its size, making it perfect for work and retail therapy days alike. 5. No Water by Romain Laprade is Libraryman’s Season Series fifth monograph. The French photographer’s warm, saturated shots transport viewers to Californian landscapes and Route 66 vistas – it’s the stuff of February daydreaming and summer holiday planning. 6. Simone Rocha’s romantic S/S19 designs and covetable accessories – including these ruby red bead and faux-pearl earrings – are now on display (and available to buy) at Matches Fashion’s Mayfair townhouse 5 Carlos Place, where the London-based designer has taken over the café with Soho’s XU Teahouse and Restaurant to celebrate Chinese New Year. 7. The Alchemist’s Garden marks Alessandro Michele’s second fragrance collection since he joined Gucci as creative director in 2015. Blended by master perfumer Alberto Morillas from notes of lavender, sage and tonka bean, this Moonlight Serenade scented water makes for an invigorating, floral fragrance. 8. Danish brand Carcel’s newly-launched silk collection is handmade by women serving time in the maximum security prison in Chiang Mai, Thailand. Combining the luxurious, locally-sourced material and beautiful craftsmanship with the utility of a denim jacket, this silk pink jacket is a welcome solution to inject some colour into this season’s wardrobe.